The world is growing more connected every day and devices are becoming increasingly automated. Managed connectivity is at the heart of what we do and we're going beyond connectivity to provide end-to-end solutions for your IoT and M2M needs. We are the people powering IoT. Our truly global IoT and M2M connectivity platform. Simplify your IoT deployments with bundled solutions. Connectivity management platform for all your devices. Need reliable information on IoT for B2B? 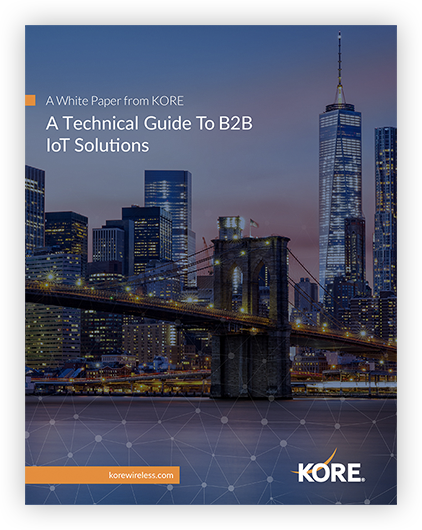 Download KORE’s “Technical Guide to B2B IoT Solutions” for a comprehensive overview. KORE provides customized, scalable IoT solutions that will make managing your business easier than ever. 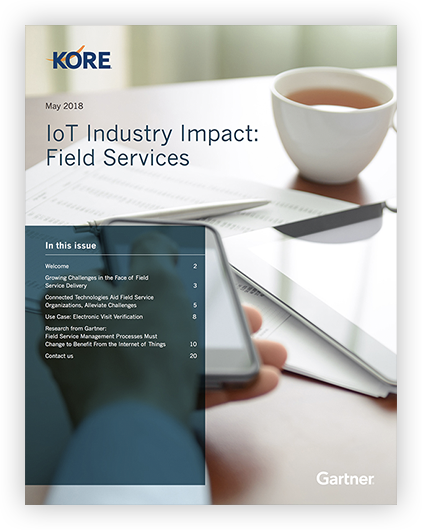 With services like device certification, application testing, 2G Sunset transition planning and so much more, KORE can help you find the IoT and M2M solutions you need to get your business to market quickly and keep it running smoothly. One contract. One platform. One global connection. And a wide variety of global connectivity services. Track and manage all your devices, regardless of technology or network. Dynamic portfolio of VPN connectivity options for secure IoT deployments. Suite of best-in-class services that help simplify and accelerate IoT solution adoption. Work with our team of experts to smooth the certification process. Efficient testing process gets you to market faster. Dedicated support from your very first interaction with KORE. How is IoT impacting field service delivery? Download our newsletter to learn more, featuring an exclusive Gartner research report. 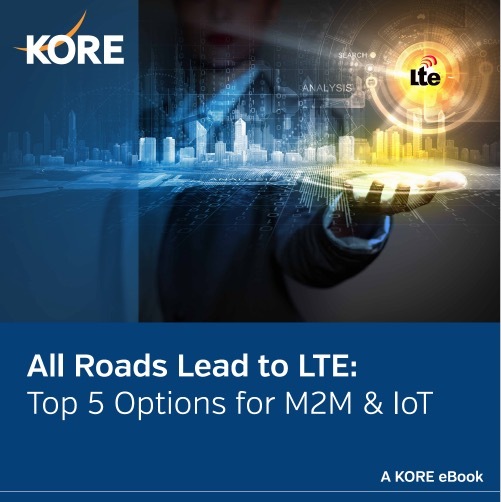 KORE has created a range of resources related to IoT and M2M. Find guidebooks, videos, case studies and more. Explore the IoT resources below and contact us is we can answer any questions. See how others in your industry have successfully partnered with KORE. Downloadable guides on all things IoT and M2M. Testimonials to tutorials, videos to educate and inform. Learn about new services, features and updates in our monthly webinars. Schedule time to meet us at IoT & M2M industry events. Looking to increase revenues with service-based solutions? Tablet-based IoT solutions can help. 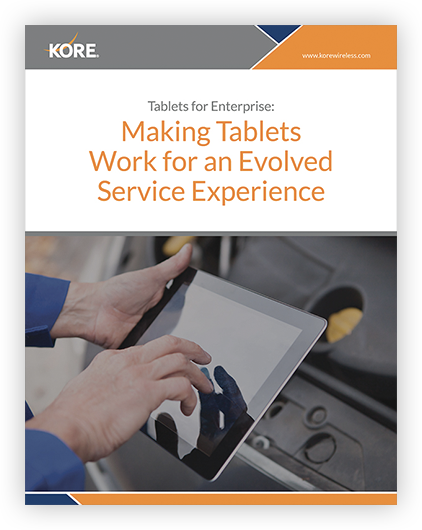 Download KORE’s eBook, “Tablets for Enterprise” for more information. KORE provides the most comprehensive global IoT and M2M solutions with the comprehensive coverage, flexible pricing, reliability, security, scalability and speed-to-market expertise. We are the people powering IoT -- the Imagination of Things, the Innovation of Things, the Internet of Things. 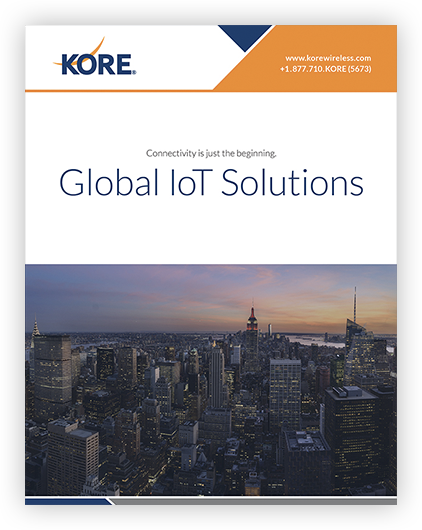 Discover why KORE is the global leader in IoT and M2M solutions. Dedicated and skilled resources to support your deployment. 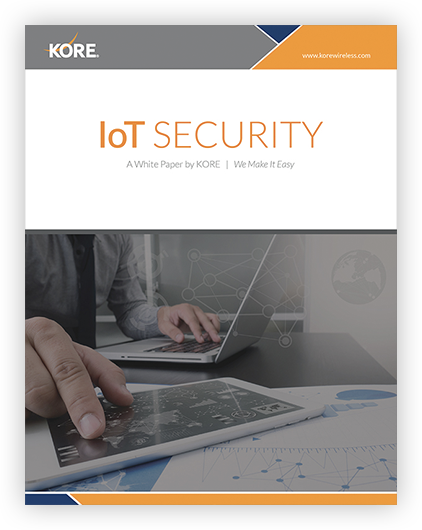 KORE eliminates the complexity of IoT and M2M solutions. Rely on KORE for the most flexible, reliable and secure global network. We are continuously expanding our network partners. See our list of carriers. Partnering with KORE means partnering with best-in-class OEM and channel partners. Navigating the complexities of IoT can be challenging. 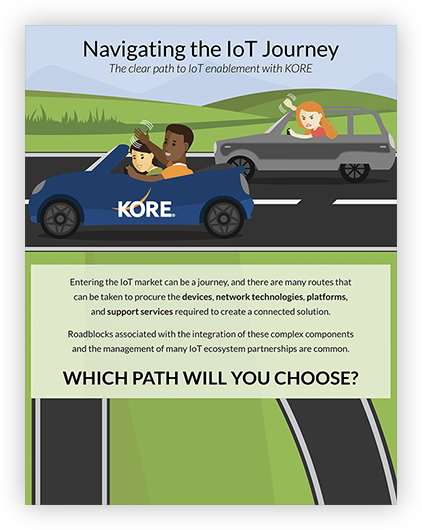 See how KORE can guide your organization through the journey to IoT success. We are the people powering IoT. Visit the links below to learn more about our company and our team. Read latest press releases and news coverage about KORE. The IoT ecosystem is ever-evolving. KORE’s comprehensive portfolio caters to the dynamic needs of our customers, simplifying IoT deployments. Whether you are an existing customer or just have questions about our services, we are here to help. Contact us for quick access to the answers you need. Interested in KORE solutions? Speak with one of our experts by phone or email. Interested in career opportunities? Contact us here. Is your business at risk of security breach? we are the people powering IoT. Stay connected to the IoT industry through events and expos that KORE will be participating in by reading the information below! If you are interested in meeting with us at any of these events, please fill out the form to the right. A KORE representative will follow up with you shortly. Can’t wait until these IoT and M2M industry events to get connected? Contact us at 877-710-KORE (5673) to schedule a meeting immediately. We look forward to hearing from you! Sourcing IoT connectivity can be one of the biggest challenges for organizations as they embark on IoT projects to drive revenue or transform business processes. The IoT ecosystem is increasingly complex with hundreds of IoT carrier, network, and equipment options, and there isn’t one solution that can be applied across all IoT deployments. As IoT network technologies and capabilities are also increasingly diverse, organizations may need to mix and match connectivity and device options – and work with an independent provider – to design the right solution for your unique organizational requirements or budget. Confused about using LTE for your IoT and M2M devices? Have Questions? Speak with an IoT/M2M solutions expert. Need a quick response? Send us a quick message. Send us your questions and one of our IoT/M2M solutions experts will reach back out to you to answer all your questions. No obligation and no sales pitch. Just answers. KORE Wireless Group, Inc. All rights reserved.